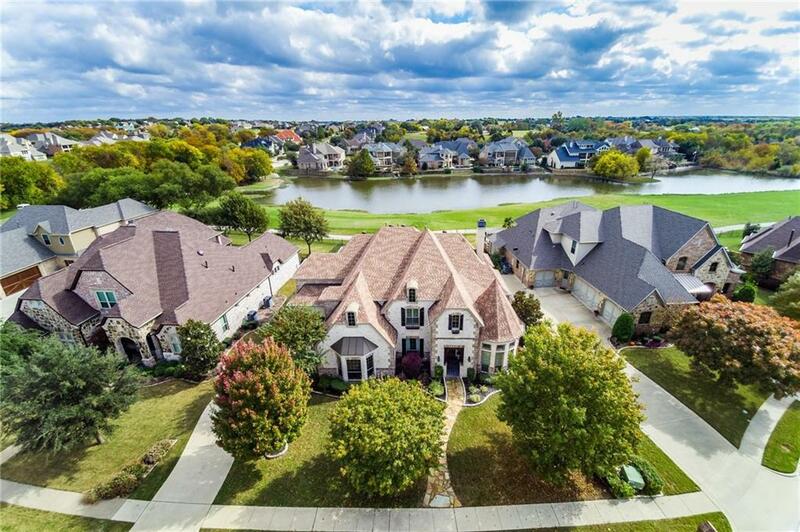 This luxurious home in Buffalo Creek has it all. Crown molding, arched entries, wood floors and wide baseboards are just a few of the elegant touches throughout. Kitchen with stainless steel appliances, island, double oven, wet bar with wine cooler and butler’s pantry. Master with sitting area, tray ceiling, double vanities, jetted tub and walk in closet. Living room complete with wood beams, stone fireplace, and large glass doors leading to outdoor space complete with water front view of the golf course, and pool with water feature. Upstairs you will find media room with screen and projector and a spacious game room leading out to covered balcony. Come see this immaculately maintained home.